This is a picture of a NEC PC-6001A I bought at a local flea market (for less than $10) about four years ago. This computer was on the market around 1981-2 or so, but was never distributed widely in the U.S. 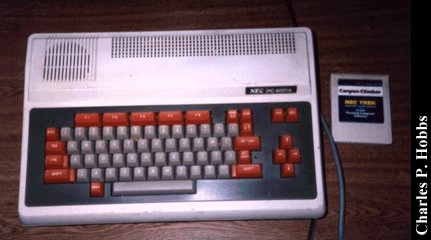 The computer as shown has 8K of ram, plus built in Microsoft BASIC. I don't think it has dot-addressable graphics, but it does have color TV output and a set of line drawing characters (plus a small selection of other special characters, accessed by pressing the "ALT CHAR" key on the keyboard). It also has a three-voice sound generator (similar to TI-99/4A, MSX, etc.) and a built-in speaker, accessible from BASIC. Here's a larger version of the above picture. 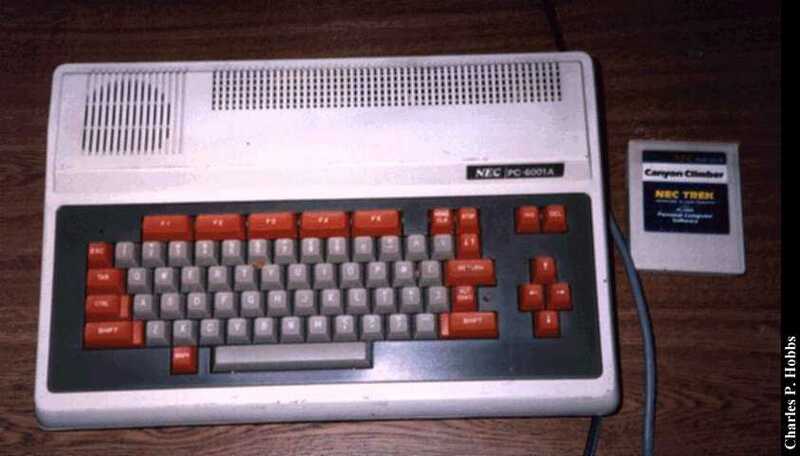 Click here to view all comments for the NEC PC-6001a and to leave your own.